– sports goofs | brainsnorts inc.
I’ve been watching and learning sports, especially football, since the Jets won the Super Bowl and the Mets won the World Series in 1969. I remember very well as some kids were over for my seventh birthday party, playing stupid birthday party games in the basement, while my Uncle Mike and I watched the game seven upstairs in the kitchen. My mother thought it was weird, but it was well worth it. 1. When you say the score of a game, you MUST ALWAYS say the higher score first. 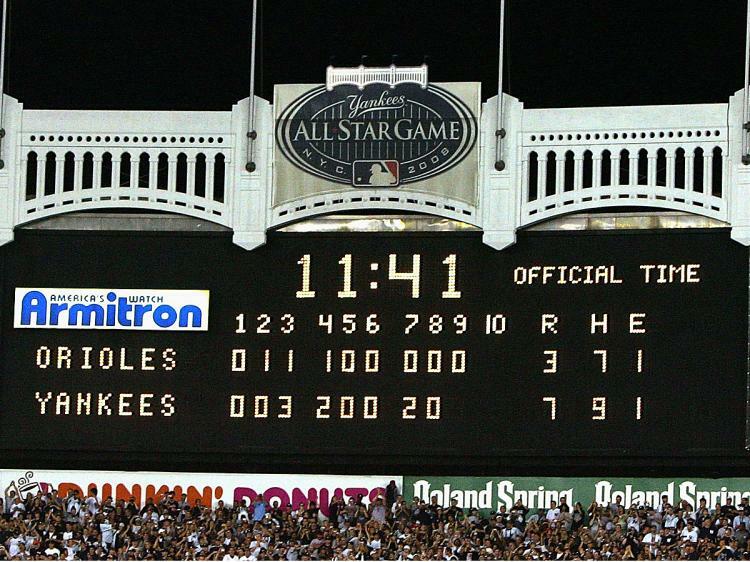 It doesn’t matter if the graphic on television says, “Red Sox 1 Yankees 5.” The higher score must be said first. 2. Graphics like “Red Sox 1 Yankees 5” are written that way for a reason. They’re not alphabetical. The second team listed is ALWAYS the home team. So in that graphic, Boston is playing in New York. If the teams are written one over the other, then the bottom team is the home team. If the teams are written left to right, then the team on the right is home. 4. If the timed parts of a game are called “quarters,” then there are four of them. If they are called “halves,” there are only two. If they are called “periods,” there are probably going to be three of them. Soccer is different, but soccer doesn’t count because I don’t watch it. Don’t even think for a minute that I care about lacrosse. 5. Major League Baseball does not use aluminum bats. 6. It’s not a shirt. It’s a “jersey.” Yeah, like the state. It goes back to medieval times to an island called Jersey where heavy garments were woven into a shape like a sweater. Speaking of “sweater,” that’s what Canadian hockey players usually call their shirts. 8. In football, most every team that has a dark color jersey is the home team because the home team gets their choice, and they usually choose to colorful jersey. Occasionally, the home team will wear white, but it’s rare and it’s usually going to be the Dallas Cowboys. If you want to know why, I’ll explain it, but not unless you want to know. It has nothing to do with their blue jerseys being bad luck. All home teams in hockey wear the colored jersey, away teams wear white, but that was changed in 2003. Back around 1970, it was like it is now – home team wearing colorful jersey. I’ll explain why if you wanna know. 9. In baseball, the first baseman stands very close and sometimes right on first base. The third baseman does that with third base. The second baseman doesn’t usually stand on second base unless he’s getting a runner out in a force play from first base. If you don’t know what that means, you either shouldn’t watch baseball at all or you better start watching and learning. Also, it’s called home “plate,” not home base. 10. After a touchdown in football, the scoring team will kick the ball in a way similar to a field goal, but it’s not called “field goal.” It’s called an “extra point,” and it’s only worth one point. Field goals are three points. 11. When a player crosses the line surrounding the field or court, the play is usually over. It’s called going “out of bounds.” It’s NOT called “out of balance,” even though a player often loses his balance during that process. January 1, 2011 in sports.